An important person in the Indian political aftermath, Lal Bahadur Shastri is someone today we are trying to shed the light onto. The second Prime Minister of the Independent India, Lal Bahadur Shastri is known for his personality and his role in guiding India through his leadership. He was one of the senior leaders of the Indian National Congress and was an avid follower of Mahatma Gandhi. 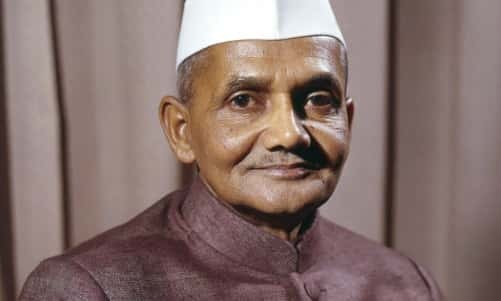 Lal Bahadur Shastri was involved in the Indian politics right from the time of British Raj, first as part of the Indian independence movement in the 1920’s and then time and again as he became a follower of Mahatma Gandhi. He later on joined path with Jawaharlal Nehru and became part of his government after the independence of India in 1947. He later on became the prime minister of India after the demise of Jawaharlal Nehru. We will cover more about our beloved Lal Bahadur Shastri down below. Lal Bahadur Shastri was born on 2nd October 1904 in a Kayastha Hindu family. He was born at Ramnagar, Varanasi in his maternal grandparents house. His father was Sharada Prasad Srivastava and his mother wasRamdulari Devi. His father worked as the school teacher and later worked as a clerk in the revenue office. His mother was the daughter of a reputed person, Munshi Hazari Lal, who was a headmaster in the railway school. He also had a elder sister known as Kailashi Devi. His family is well regarded and has been employed as the high administrators and civil servants back in the past. His parental ancestral even served the zamindars in Ramnagar. His father died in an epidemic that spread out because of bubonic plague when he was just 1 years old. His mother at the time then shifted places from Ramnagar after the death of husband to Mugalsarai, where her father lived. His family had a custom that every child should receive education in Urdu language too as that was language of government and working. As such, Lal Bahadur Shastri started education from the age of 4 under a Maulvi and studied there till sixth class. He then went to Varanasi and continued study from seventh class there. He also stopped using his caste surname, i.e. Srivastava from seventh standard. Previously all his Kayastha family used that surname. He married Lalita Devi in 1928 who was the youngest daughter of Ganesh Prasad. He married her in 1928. At that time, dowry was prevailing very much, he declined the dowry but his father-in-law said time and again and so he took the dowry of five yards of khadi cotton. He bore 6 children from Lalita Devi. Lal Bahadur Shastri at an young age got inspired by seeing the stories and speeches of the great Indian national leaders who were against the British Raj. He got very much influenced by these all. He also read the works of many great leaders of foreign like Marx, Russell, Lenin and more. He even listened to the speech of Mahatma Gandhi in 1915 and then decided to participate in the India’s fight against the British. He was so much willing to be part of the freedom fight that he even partook in the demonstration and was caught by the police once. He being a minor at the time was released by the authorities. He later actively became the member of Congress upon being called by Mahatma Gandhi. He in 1930 became the secretary leading the local unit of the Congress party. He grew very much and later became the president of the Congress Committee of Allahabad. He played a vital role in the Salt Satyagraha of Mahatma Gandhi and even played the door-to-door role of urging people and all against the British. He urged everyone not to pay tax or any revenue to the British. He was also imprisoned for more than 2 and half years. He then later on went on to work as the Organising Secretary for the Uttar Pradesh Parliamentary Board in 1937. He was again later on sent to the jail in 1940 for 1 year as he was again supporting the Satyagraha campaign against the British. He came out of jail in 1942, just when Mahatma Gandhi had issued the Quit India speech. He travelled to Allahabad and then supported the activities and people that supported independence. He spent a week at the Jawaharlal Nehru’s home also known as Anand Bhavan where he did this all. He was again arrested for doing that and put in jail. He remained in jail till 1946. At his time in prison, to spend the time he read the books and ideas of other political leaders and reformers from over the world. He came out of jail in 1946 and India had its independence in 1947. After the independence, he played a major role in various administrative tasks. He first was selected as the Parliamentary Secretary from his home state of Uttar Pradesh. He became part of the State Ministry as the Minister of Police and Transport under the leadership of Govind Ballabh Pant, who at the time became the chief minister of Uttar Pradesh. He was the first one to appoint women conductors. He did it after he became the minister. He then also issued order for the police to use water jets to disperse the people who protest rather than the lathis that normally police used before. His role as the state minister for police saw various curbing of the communal riots, mass migration and other issues like refugee resettlement. It was in 1951 that he became the General Secretary of the All-India Congress along with Jawaharlal Nehru who became the prime minister. He was given task of selecting candidates for the publicity and all. He was an important person in the Indian Congress win in India’s general elections held in 1952, 1957 and 1962. He himself won the seat of UP Vidhansabha from the Soraon North region and won more than 69% votes there. He was thought to become the home minister of UP again but in a surprise he was called to central government by the then Prime Minister Jawaharlal Nehru. He was made the Minister of Railways in the first ever cabinet of India, the Republic of India on 13th May 1952. He performed his stint and then again returned to the cabinet in 1957 as the Minister for transport and Communications. He then later became the minister of Home in 1961. He also formed the Committee on Prevention of Corruption headed by the K. Santhanam. On 9th June, 1964, after the death of the previous prime minister Jawaharlal Nehru, Lal Bahadur Shastri became the major candidate to replace him as the successor. He was a mild-mannered and soft-spoken personality and even though there were people who were seemed to be influential in Congress Party, Lal Bahadur Shastri was chosen as the candidate. He was also a follower of Nehru’s philosophy. His time as the prime minister saw India battle between two big wars with war with China in 1962 and war with Pakistan in 1965. He helped tackle many big problems like food shortage, the problem of unemployment and those of poverty. What he did was ask the experts to form a long term solution to such situation and started the Green revolution. He also formed the National Dairy Development Board in 1965. During the crunch time of battle finished with China in 1962 and with war with Pakistan, he did not just sit idle and let the situation dictate itself. He asked the security forces to fight back and said that the ‘Forces should be met with force’. The war with Pakistan was ended on the 23rd September 1965 after the United Nations passed the resolution. Lal Bahadur Shastri and Pakistan’s prime minister of that time, Ayub Khan signed the treaty. Lal Bahadur Shastri died on 11th January 1966 in Tashkent, just after a day he signed the treaty passed by United Nations. He died because of heart attack but people say that there has been a conspiracy behind his death. He was the first prime minister of India who died on foreign venue. He was later awarded as the national hero and a memorial of Vijay Ghat was established in his memory. He was born to Kayastha family but he was taught in Urdu language too as Kayastha family followed the language as it was used by government. He invented the slogan Jai Jawan Jai Kishan. He was the first prime minister to die on foreign venue. He was the second prime minister of Republic of India. He was an avid follower of Mahatma Gandhi and also a follower of Nehru’s philosophy of socialism. He was a mild-mannered and soft-spoken person but had extreme will power defying his small stature. His title Shastri refers to scholar or someone who is well versed in holy scriptures.